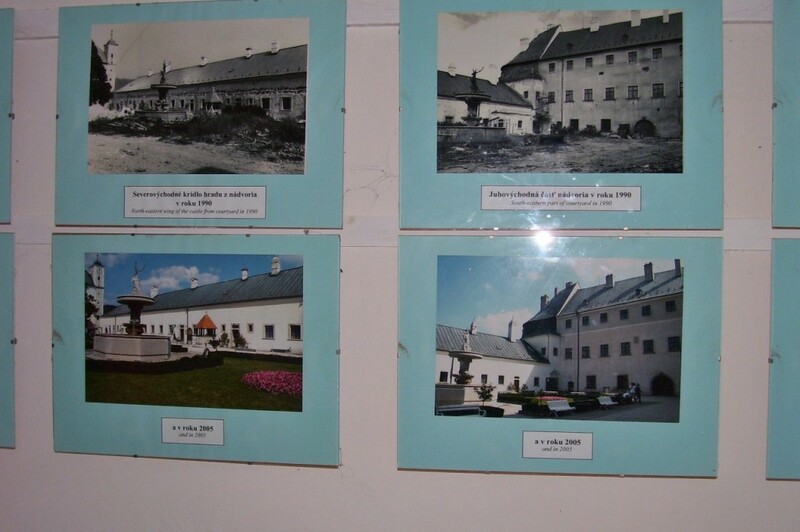 WHAT A CONTRAST: These wall pictures show what Cerveny Kamen (the Red Stone) Castle looked like after being abandoned for so many years and then being restored to its magnificent look today. 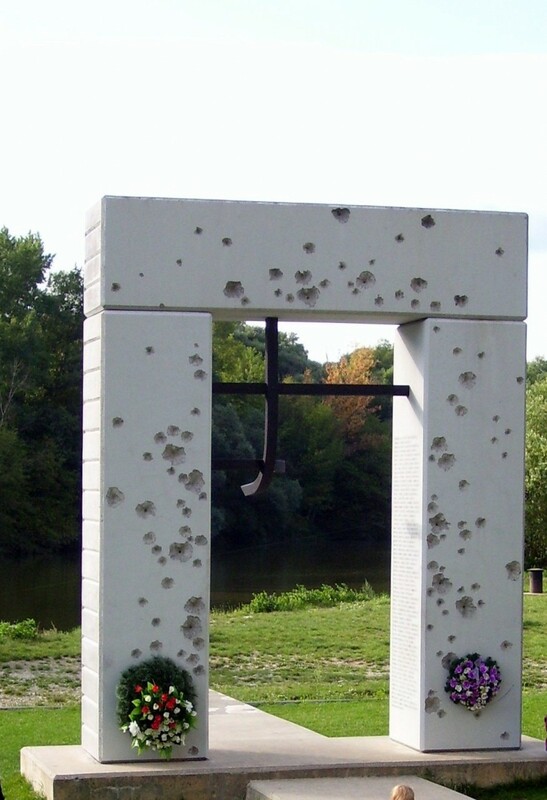 LIVING HISTORY: This is the monument to the 400 people shot by the Communist Authorities on this stretch of river between Slovakia and Austria where the Rivers Morava and Danube meet. FLASHY FLATS: These flats in Bratislava would have been in drab colours before 1990 and painted over to reds in this picture and other colours as an emotional reaction to the conformity that the local residents had to endure for 40 years. VANTAGE POINT: I am pictured looking across to Austria from Devin Castle. This was the aquatic obstacle facing Slovakians wanting to escape the Communist regime. 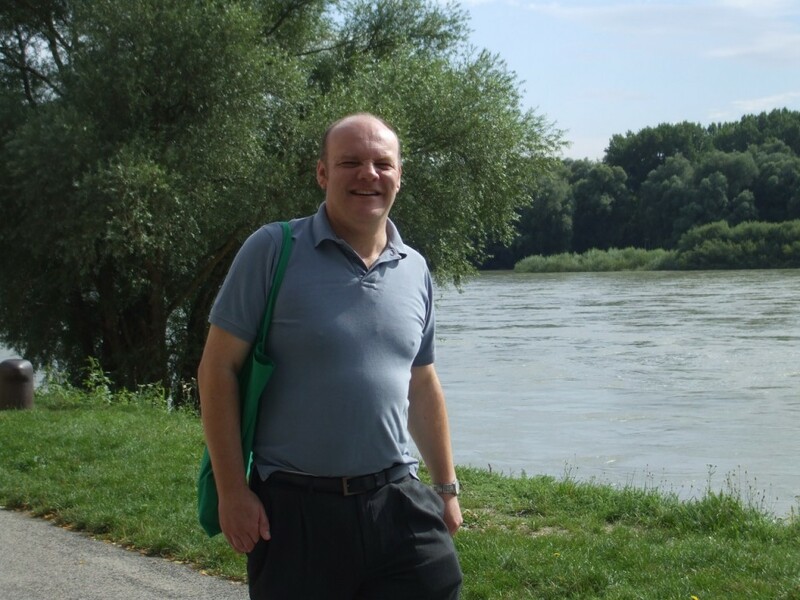 THE side effects of Communism have left a deep impression on me on a recent visit to Slovakia. I was visiting friends in the capital, Bratislava, who had previously worked in east Dorset and have returned there to live permanently. I observed three different scenes that put these observations into perspective. Cerveny Kamen (translated in Slovak is Red Stone Castle) dates back as far as the 13th Century and passed through the hands of several noble families linked to the Austro-Hungarian empire. In the 17th Century it was re-built in a baroque style by Mikulas IV Palfi together with his wife Maria Eleonora Harrach. They were the last owners of the property and the last Palfi member vacated the premises in 1945. It was then declared a national cultural property by the Communist authorities and for the most part was neglected and fell into disrepair. What shocked me that even a Communist regime could have seen the potential capital in bringing in visitors and keeping it in good nick? This only happened when restoration work was started in 1990. It doesn’t necessarily happen everywhere where there is or has been a Communist regime. The Chinese have opened up their country to tourists over the past 25 years, the Great Wall being one of their most prominent assets. The picture in this report shows the shocking comparison of the neglect and the hard-grinding restoration. The castle museum has 1,729 items of historical value and the castle’s library has 14,312 books and this would need 286m of shelf to store all of them. 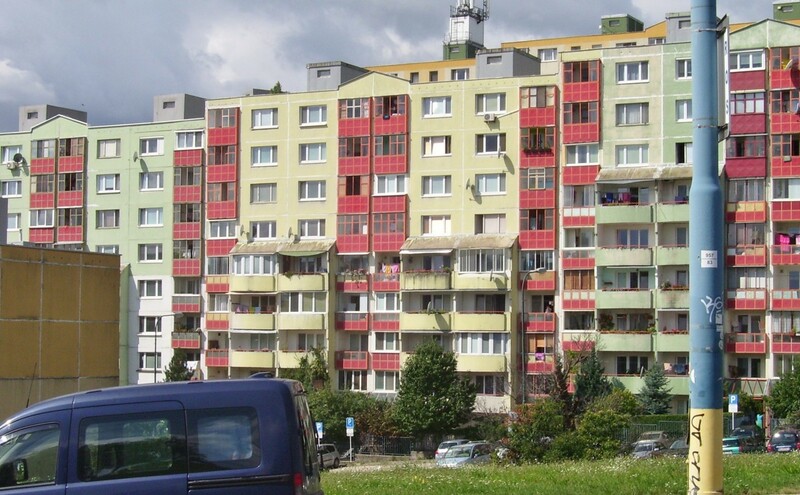 As in my previous visits to the neighbouring Czech Republic, my attention was brought to the bright colours of all the blocks of flats and terraced housing in Bratislava and the surrounding area. If you had lived in a dull lifeless hue, grey or white-bricked building for 20 or 30 years, what would you do? The building opposite my friend’s flat was a mix of green and yellow, something that would cause a fit with preservation groups and civic societies back in the UK. The expression of colour was a reaction to the uniformity that was imposed on everyone. The town of Cesky Krumlov in Bohemia is an also example of a town – which is a World Heritage site – becoming a kaleidoscope of colour on the walls and turrets of the main town, and it left an imprint on the castle too. I went there on a previous visit in November 2010. Devin Castle is on a point where the Rivers Morava and Danube meet and was a strategically placed fort. It looks like a taller Corfe Castle but with all the ruins fenced in due to safety reasons. The cliff face stands at an altitude of 212 metres and grazed by a team of goats nimbly jumping across the rock face. Prior to 1989, the Iron Curtain representing the Eastern Bloc ran just in front of the castle and the West ran in front of the castle. It was part of a militarized tone monitored by the Communist regime that ran the then country of Czechoslovakia. It was heavily fortified with watch towers and barbed wire. The Velvet Revolution saw the demilitarisation of the zone but it came too late for the 400 people who were shot by the authorities trying to make their escape by crossing the Danube to Austria. These tragic individuals are remembered at a memorial placed there. It is important for me to read back the words on the memorial that I made a note of taking down and they are absolutely devastating. The inscription read: “In Communism here where the Rivers Danube and Morava meet on the Austrian/Slovakian border, the Iron Curtain used to stand here. It cannot be pulled away. It can be only cracked. Next time an institution in the UK decides to take someone to court for not agreeing with a political message on a cake in the name of political correctness; harassing a local resident for tending an overgrown publicly-owned footpath or abusing the use of CCTV cameras to warn someone they shouldn’t have attended a meeting they didn’t agree with, should reflect on these words and remember what these people died for. V thought provoking and well illustrated…. Matt, you make many valid points very well. You are right, we need to treasure and protect our rights to free speech and expression and fight to maintain them.